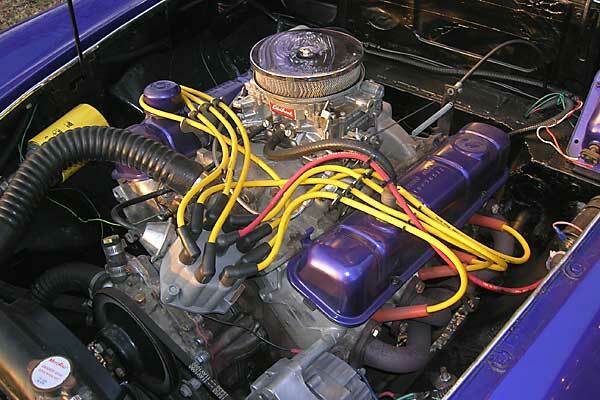 Engine: 1964 Buick 300 V8 (which is very similar to the Buick 215, although it has an iron block in lieu of aluminum. It has aluminum heads, larger valves, and a longer stroke.) Heads ported and polished, engine bored 0.030" over. Dyno tested at 310 HP. Intake: Aluminum intake w/ Edelbrock 4 barrel 750cfm. 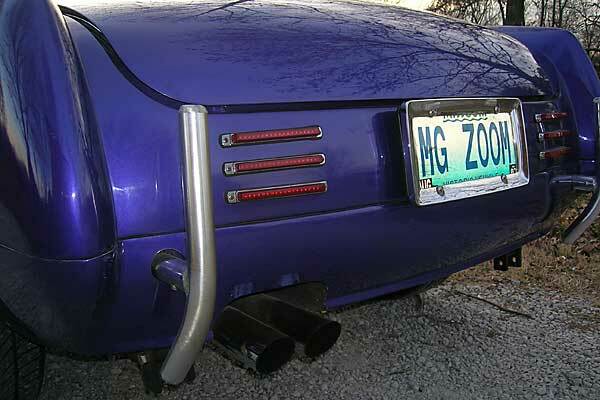 Exhaust: Custom headers into 2.5 stainless Magna-Flow exhaust w/ dual chrome tips. Cam: Isky HP-2 cam adds an additional 25 HP. Lubrication: Remote oil filter on left inner fender. Cooling: Custom built 4 row radiator w/ puller electric fan. Rear Susp. : Leaf springs w/ XD gas shocks. Drivetrain: GM 350 turbo automatic w/ race torque convertor. Rear Axle: Ford 8 inch w/ Lincoln locker. Brakes: Front - AeroSpace Components aluminum hubs, rotors and calipers. Rear - Ford drum brakes. 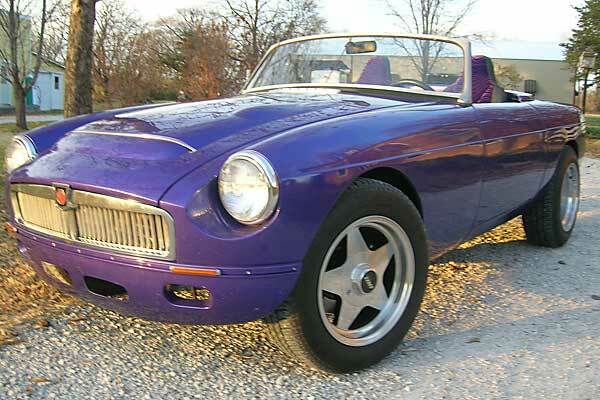 Wheels/Tires: Eagle alloy wheels front 15X8, rear 15X10 with Michelin 195/65 R15. Body: Fender beads ground off flush. Exterior door handles and locks removed and filled. Door glass removed and openings filled. Chrome strips and trunk lock removed. Original turn/brake lamps replaced with steel. Sebring valance front and rear. 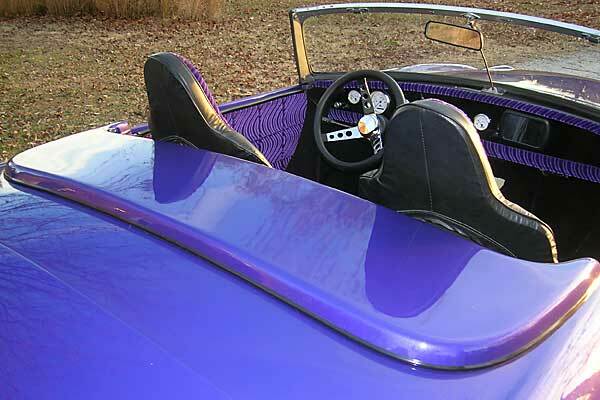 Cobra style rear bumpers. Fuel filler relocated into trunk. Custom fiber glass toneau cover. 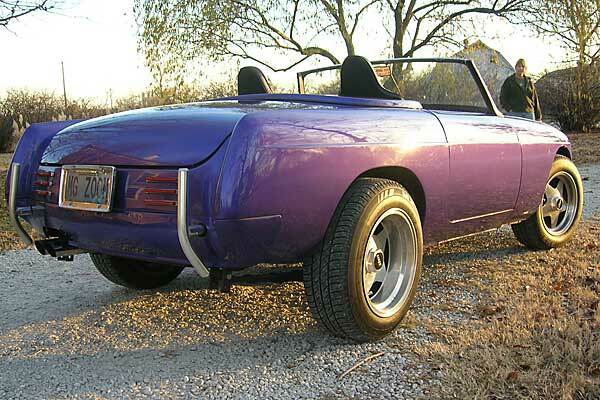 Paint: 1970 Plymouth Baracuda "Plum Crazy". 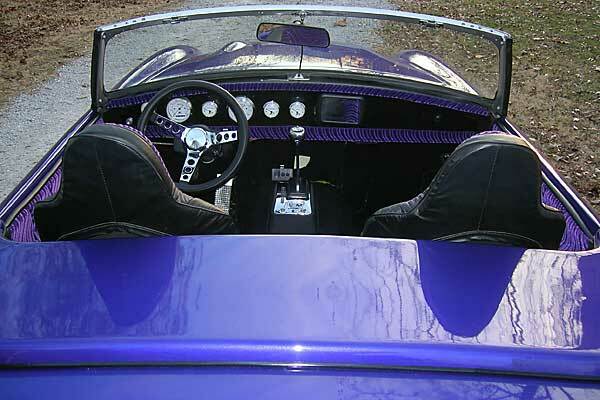 Interior: GM tilt steering with Grant wheel. B&M Quick Silver slap shifter. Custom upholstery. 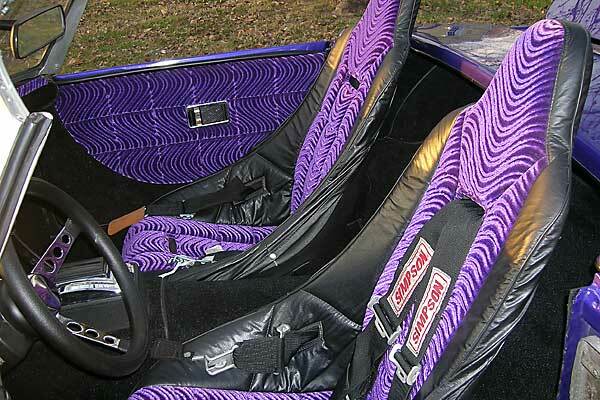 Summit racing seats with custom covers. Simpson race belts. Custom flat dash with Dolphin "6-pack" gauges. Electrical: EZ 2 Wire Harness. Dolphin programable white face gauges. LED turn-signal and brake lights (front and rear). Original Lucas head lights. 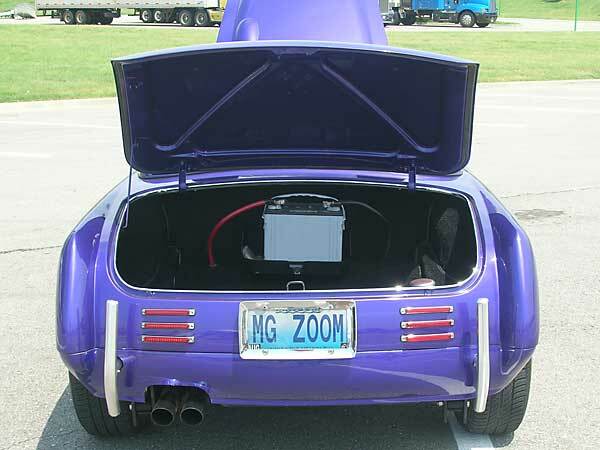 Battery relocated to trunk. Miles Driven: 1815 miles as of November 2006. 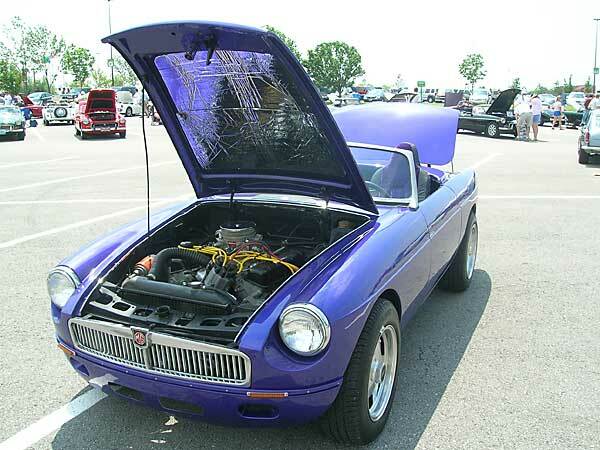 Comments: This MGC was built in Florida over a five year period. I purchased the car with less than 400 miles since its conversion. The car was built for speed. The conversion and rebuild was done to a very high standard. 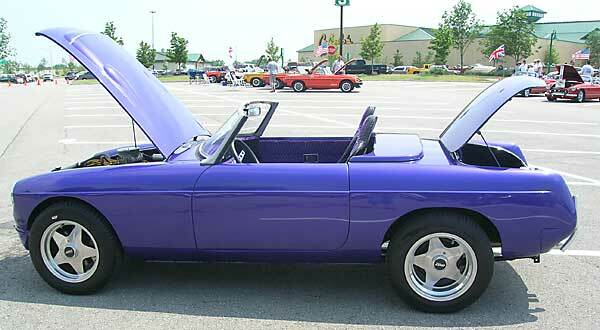 Since purchasing the car in May of 2006, it has been driven on a regular basis both for fun and to shows. It has won trophies in each of the shows it was entered in, and it never fails to attract a large crowd interested in the power plant and funky paint and interior. Unbelievably responsive, the car's handling is very agile and the brakes will stop it on a dime.